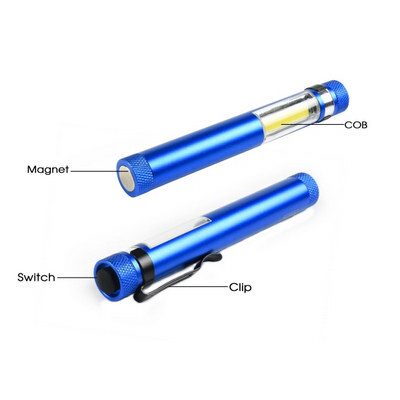 COB Clip Light with magnet. Patented. Size: 120x16 mm. Material: Aluminum. Bulb: COB . Battery: 1XAAA Super heavy duty Battery. Lumens: 35 Im. Packing: Black gift box with sponge. Price includes: Laser Engraved 1 Position.